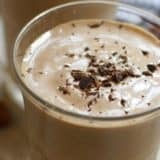 Now that our kids are getting a little bit older, we’ve been looking for crafts that take some more effort and involve a little more detail. We never thought this day would come, but the little ones finally got tired of cut and paste crafts and we can’t believe we didn’t see it coming! 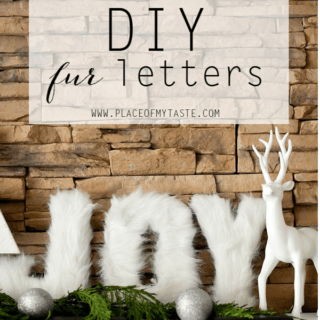 Just because the kids are looking for a little bit more of a challenge on the average “crafternoon”, however, doesn’t mean their days using fun coloured paper are over. 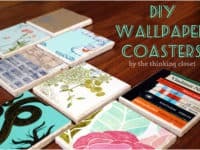 That’s how we came across the idea of making paper coasters and there was just something so charming about it that we looked up all different kinds. 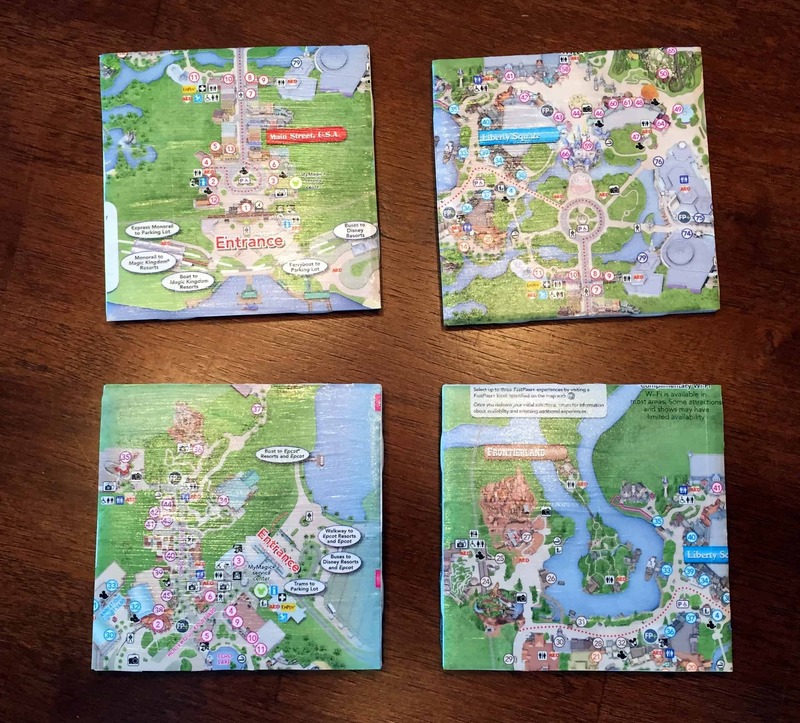 Are you as taken with the whole paper coasters concept as we were when we first stumbled across it, if not more? Then check out these 15 awesome tutorials, designs, and ideas that are tried and true! 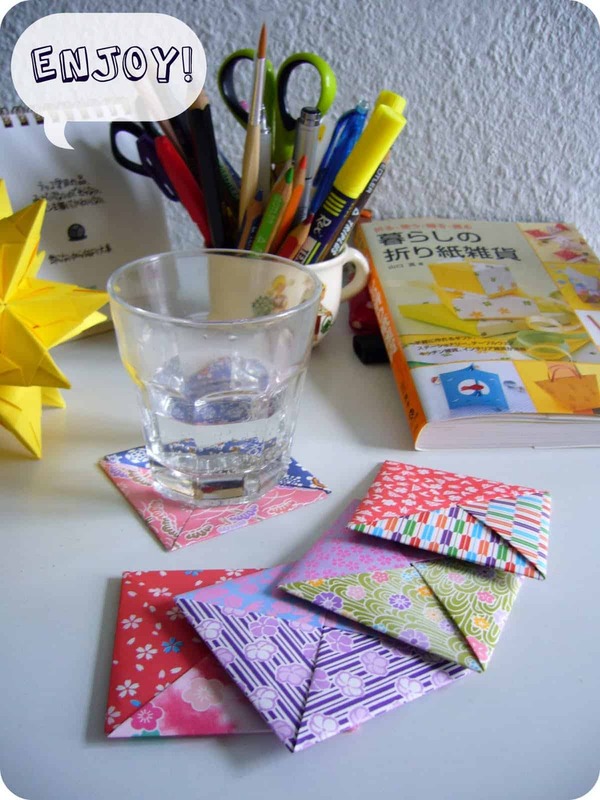 Even thought you found the idea of paper coasters intriguing, did you immediately have some concerns about the whole idea of paper being used for things that involve liquids, since it doesn’t exactly stand up against them well? 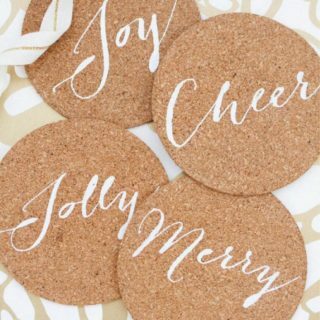 In that case, we have a feeling you’ll find this sealed paper coaster idea pretty neat indeed! 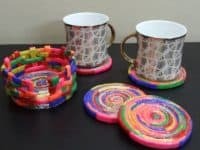 Check out this tutorial from Paper Crafts to learn how they created super colour spirals that are sealed nice and hard for protection, like a store bought coaster would be. 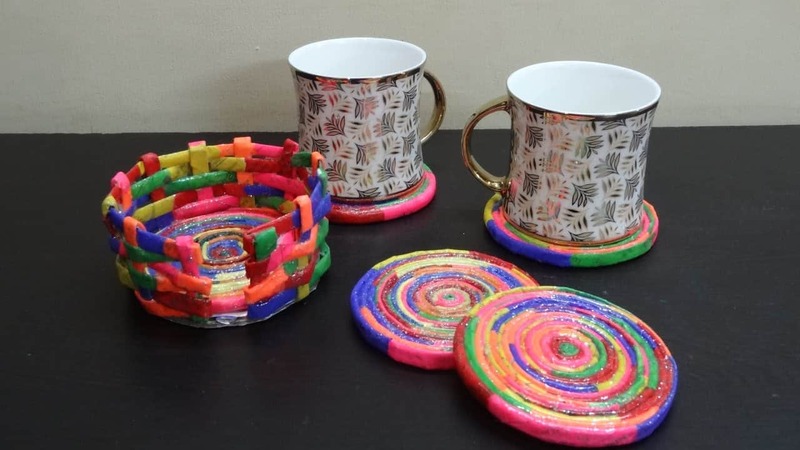 Neon spirals aren’t the only kinds of papers coasters you can make and seal for protection! 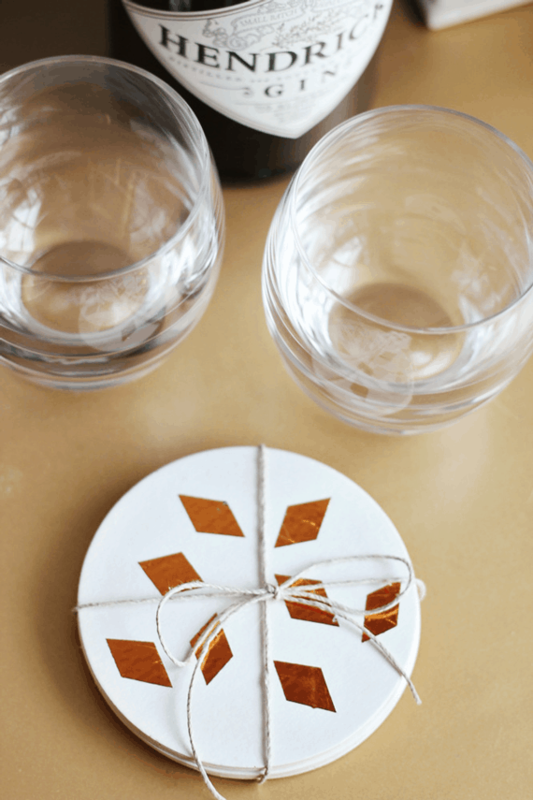 What if you’re looking for a coaster concept that’s a little more “classy” looking than colour blocked construction paper, perhaps with a bit of pattern to go with the decor scheme in your main room? 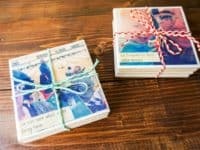 Then we definitely think you should take a look at how Hello Wonderful made these smooth, flat coasters out of decorative scrapbook paper. Just like the ones above, these are sealed for the protection of the paper too! 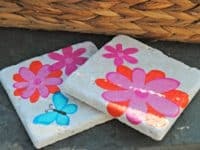 Even though you really like the idea of making paper coasters, would you really rather they have a little more solidity to them as a base than something made out of just paper might have? 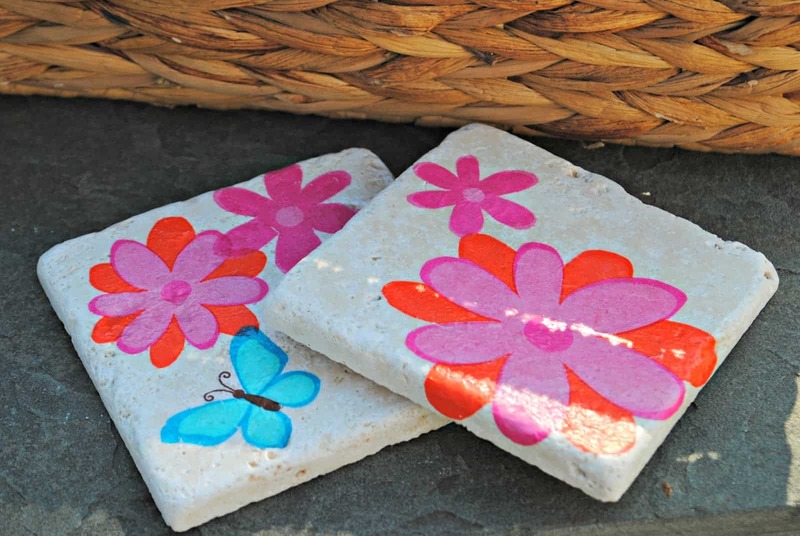 Then perhaps these tile coasters that are simply covered in paper on top thanks to the magic of Modpodge will be a little more up your alley! Check out how they’re made from all kinds of different paper types on The Thinking Closet. 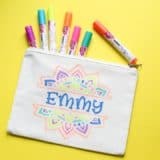 Are you actually quite new to crafting and you’re looking for a set of instructions that are really specific, just to make sure you stay on track? Then we think we’ve found the perfect tutorial for you, especially if you were really intrigued by the idea of covering tiles in scrapbook paper specifically! 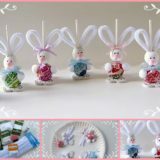 Get the full details for making your own in all kinds of colours and patterns on Crafting and Cooking. 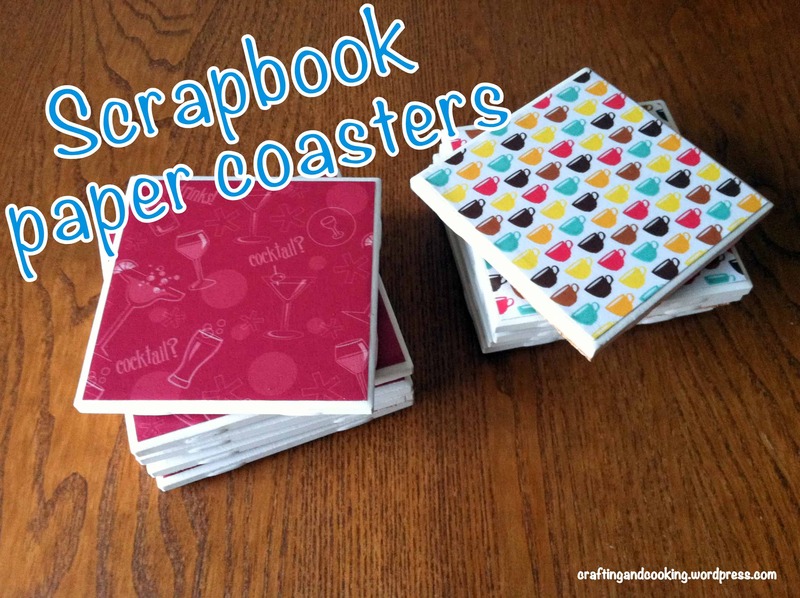 Have you actually been thinking about the paper spiral coasters we showed you first ever since you started reading, but you’ve been hoping to find a version that looks a little less like a kids’ craft? Then we think we might have finally found what you’re looking for! We can’t get over how cool this paper rolling coaster project made from upcycled magazine pages is and we’re totally thankful to The Sunny Studio for walking us through the process of making them. Are you completely enamoured with the idea of making a hard based coaster with a sealed paper top but you’ve done the whole tile thing before and you’d even like an alternative concept for what kind of paper goes on the top? 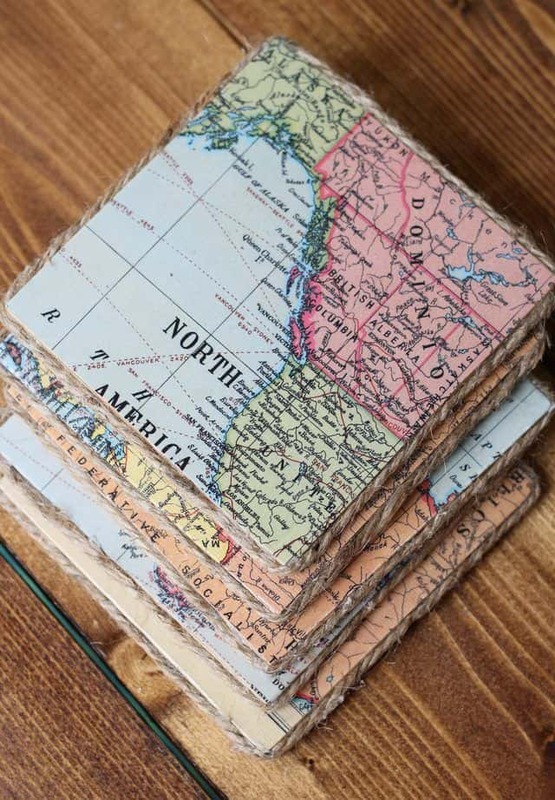 Then maybe you’d prefer these wooden map coasters instead! We love the sort of simple, travel chic look they give the room, and we even love the way Inhabit Zone finished the edges off with a single wrap of jute string for a cute, rustic looking finish. 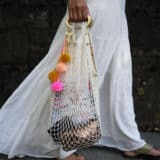 Now that you’ve got the techniques down (or, at least, you’ve got the basic idea even if you haven’t actually tried them out yet), are you mostly just on the hunt for design ideas and cute patterns that might suit your decor scheme? 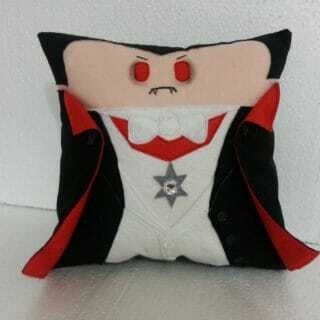 Then here’s an exciting but simple design for your consideration! 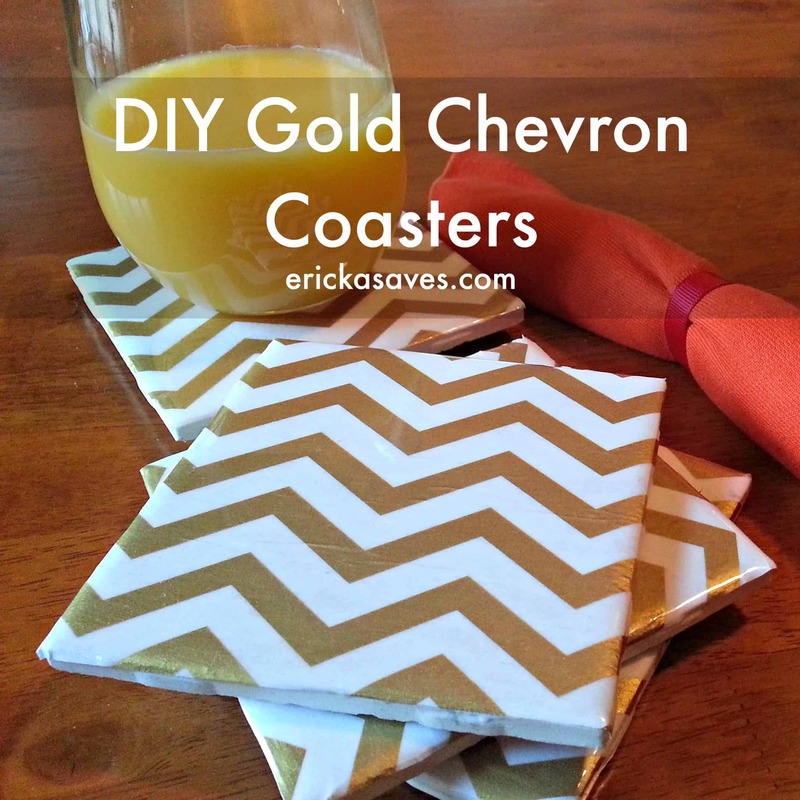 We love the way Life of Random used squares cut from chevron scrapbook paper that have a bit of a metallic sheen, making them the perfect gold accent. 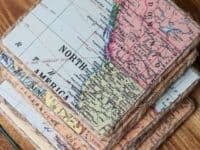 Perhaps the whole reason you’re looking for a customizable, DIY idea for your coasters in the first place is because you’d rather make something a little more unconventional or kitschy? Well, we actually love that idea because we’re huge fans of making things that are themed after our hobbies and interests. 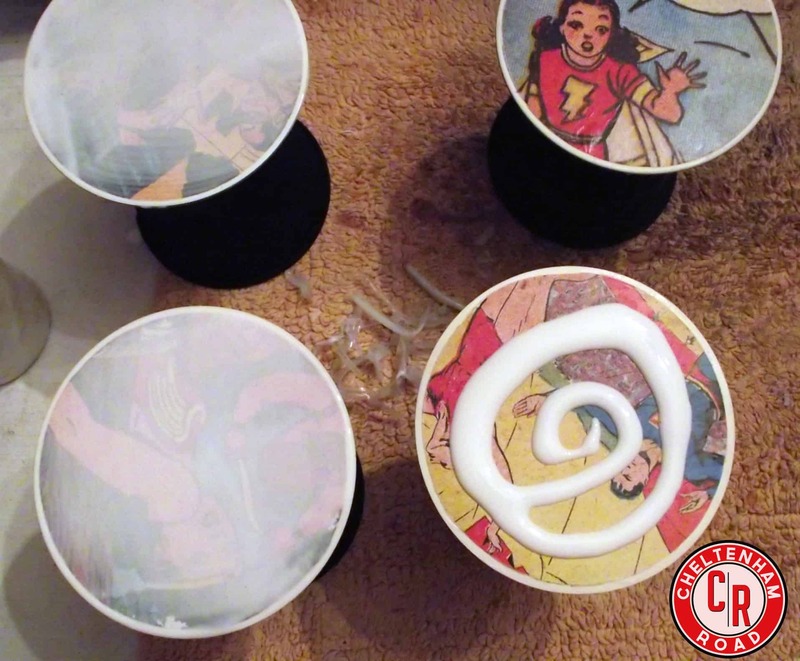 That’s why we thought these DIY comic book coasters featured on Cheltenham Road were so neat! 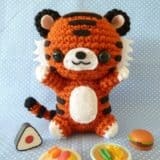 On top of that, they’re also awesomely simple to make. Are you the kind of nostalgic person who’s always looking for new ways to display your favourite photos of you and the ones you love? 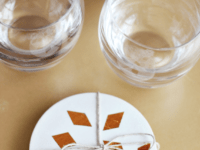 Perhaps you’re actually looking for new DIY ideas for housewarming gifts and you thought a set of custom coasters might be a cute idea because they’re simple to do. 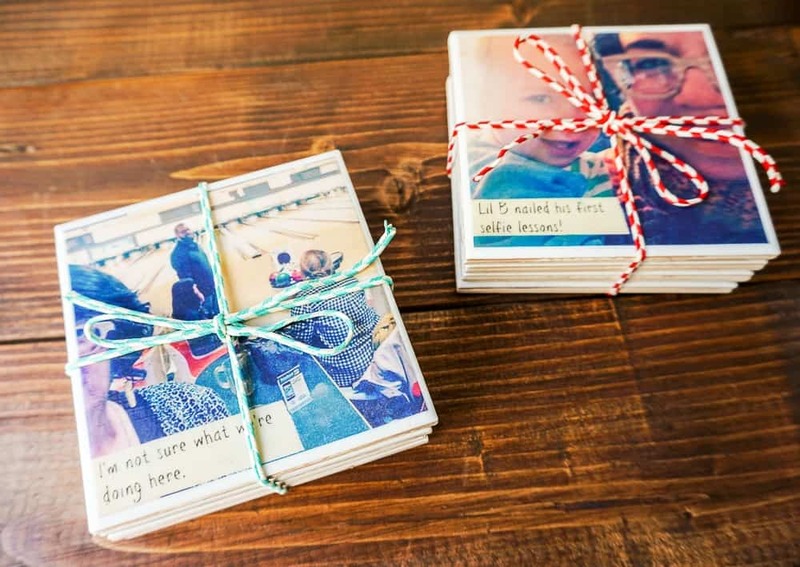 In that case, we absolutely think you should take a look at how Home Right made these cute square shaped coaster packs featuring captioned photo memories from your instagram! Perhaps you live in a small apartment that you know you won’t be in long and you’re just looking for a temporary solution to stop your desk getting ring marked? 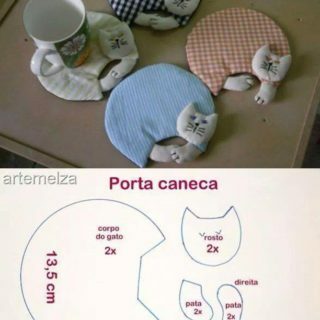 Well, that doesn’t mean you can’t find a solution that’s also really cute to look at for the time you’re in that space! We’re huge fans of this adorable origami coaster tutorial from Arctic Fox because we’ve actually made these so many times that, from so many different types, patterns, and colours of paper, that we can whip them up in just a minute now whenever we need one, pretty much no matter where we are, as long as there’s paper around! 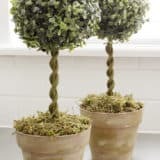 What if you’re looking for an idea that will help you make something a little more delicate looking but also help you add a little bit of colour to the place in a subtle way? 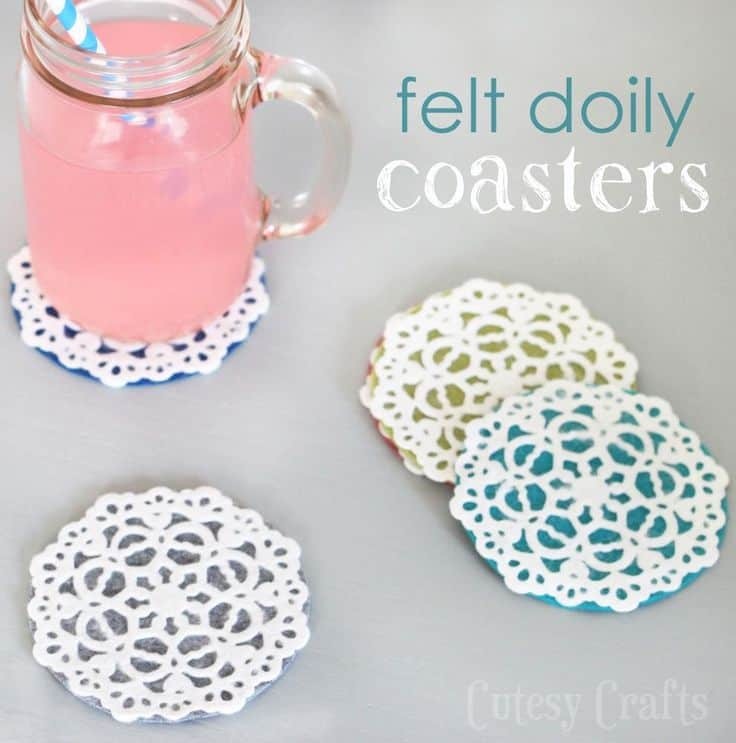 Then you should definitely take a look at how these adorable felt circle and paper lace doily coasters are made! 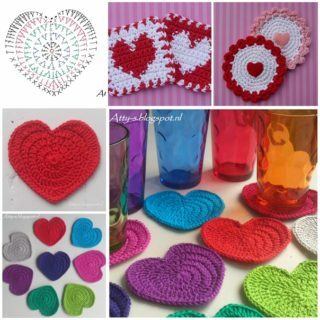 Bead and Cord guides you through the whole simple process, with a few super useful tips for keeping them nice and flat despite the pattern of the doilies’ cut outs. 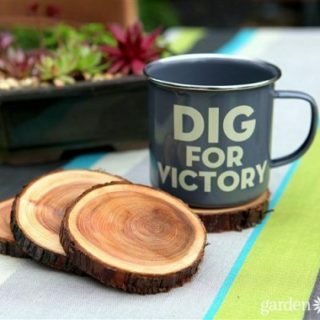 Perhaps you have an old set of coasters that you’ve grown bored with but you’d rather upcycle them than getting rid of them all together? 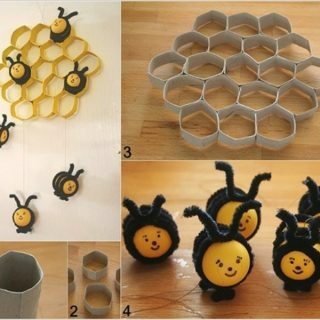 Well, here’s a way that uses paper and to get your kids in on helping you out in making fun designs! We love the way Two It Yourself cut out pretty, bright little patterns and shapes out of novelty napkins and used Modpodge to paste them all over the top to make them look a lot more fun. 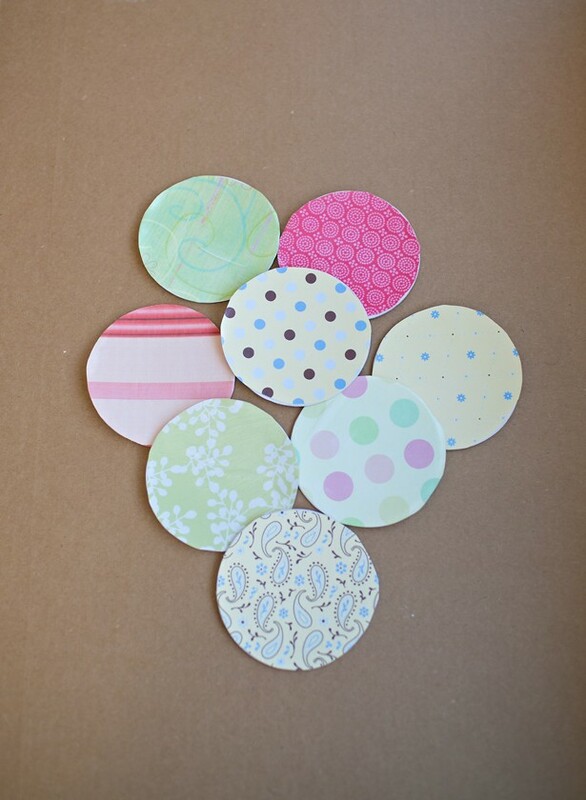 Were you pretty intrigued by the idea of making the smooth, sealed paper coaster circles that we showed you near the start of our list but you haven’t been able to find a kind of scrapbook paper you like when it comes to colour and design? 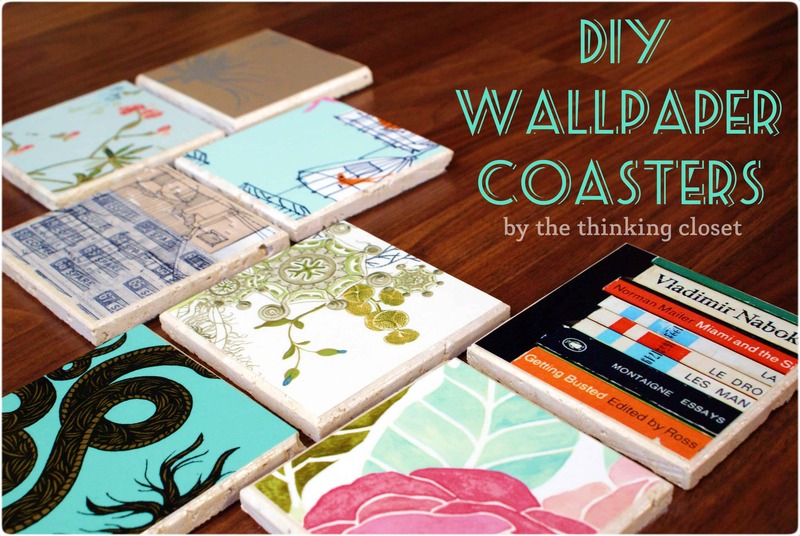 Well, why not make plain coasters and make a custom design of your very own instead? Minted shows you how to make it happen using delicate crafting foil cut into whatever shape you please and sealed right to the top of the coaster. Did you love the map idea we showed you earlier, but you can’t help but feel like the maps should really mean something and actually be of places you’ve been or places you really love? We think that makes total sense, especially if you’re going to display them in your home! 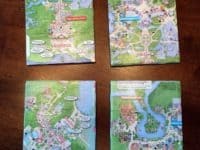 That’s why absolutely adore the way Touring Plans used pieces of old Disney World maps to cover the surfaces of their coasters! We also think these cute coasters would make adorable gifts for the big Disney lover in your life. Are you an avid lover or music and enthusiastic musician who loves theming your home decor after the things you love whenver you can? Perhaps you’re actually looking for gift ideas to make for a loved one who’s a professional musician and just moved into a new home. 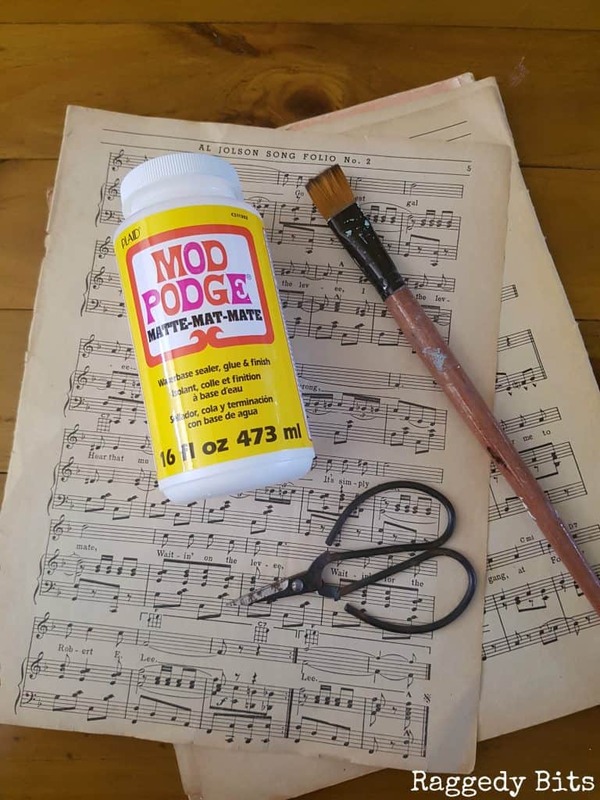 Either way, we have a feeling you’re going to love this sheet music idea featured on Raggedy Bits! The technique is the same as you’ve seen above, but we just can’t get over how delicate and pretty the finished idea looks. 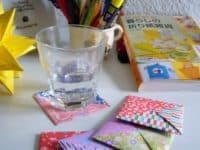 Have you made other kinds of DIY coasters involving paper that you use all the time and are very happy with but that you don’t see here? 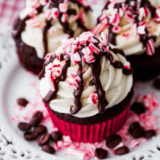 Tell us all about how you made them or link us to photos in the comments section! 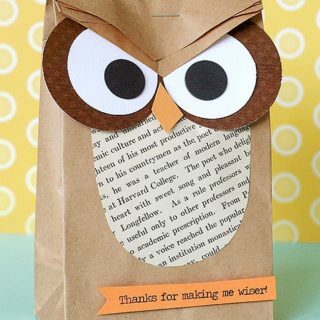 These Paper Bag Crafts Are Eco-Friendly and Fun! 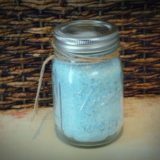 Pamper Your Senses: These DIY Bath Salts Are a Fast and Frugal Treat!